tonight (monday jan 28th starting at 20uhr) i’ll be giving a presentation at dorkbot in berlin called “future fabrics: construction techniques for wearables with flexible and washable circuitry”. 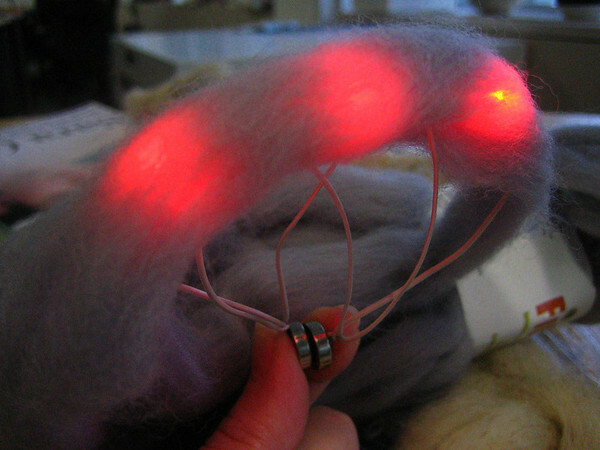 i’ll show some felted led fabrics, knitting and spinning with electronics and i’ll show some step-by-step ways to build your own circuits into wearables and washables. entrance is 5 euros, but the c-base (where the event is being held) is always a good place to support. hope to see you there. 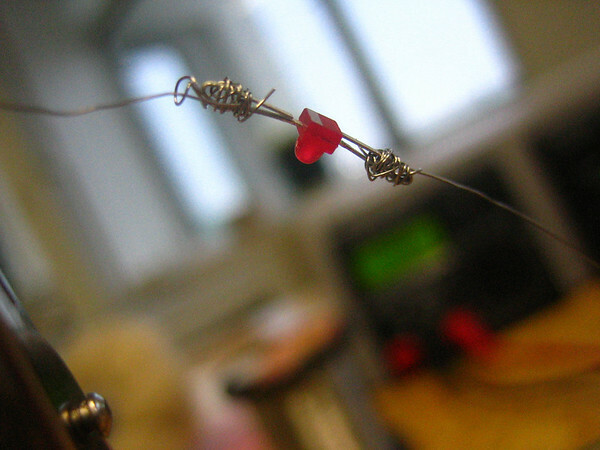 This entry was posted	on Monday, January 28th, 2008 at 10:31	and is filed under conferences, projects, wearables. You can follow any responses to this entry through the RSS 2.0 feed. You can leave a response, or trackback from your own site.